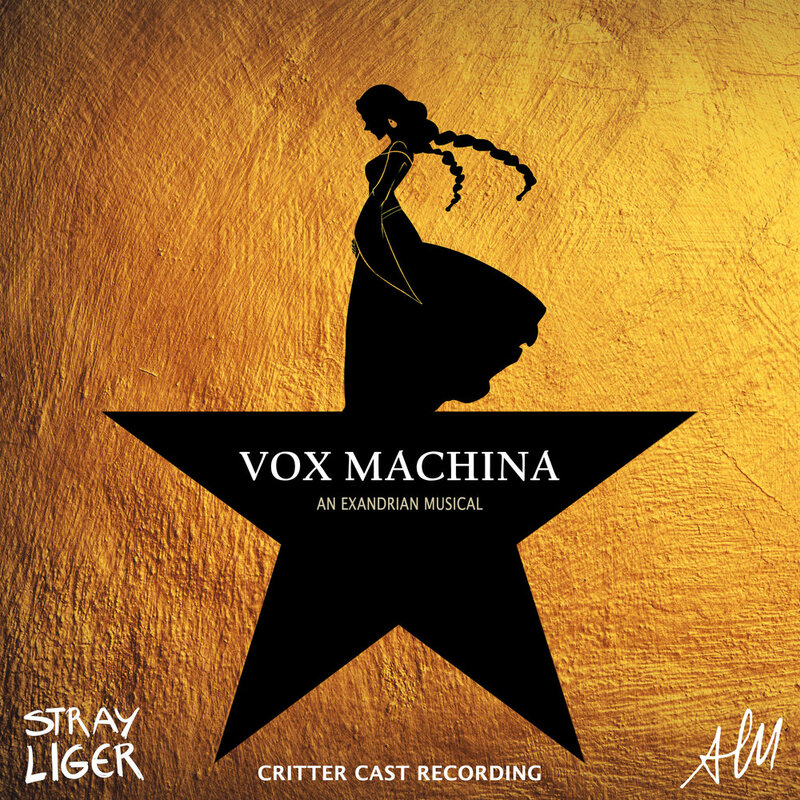 Here’s the second addition to our very own Exandrian Mixtape (an irregularly released collection of covers from the Hamilton Mixtape). 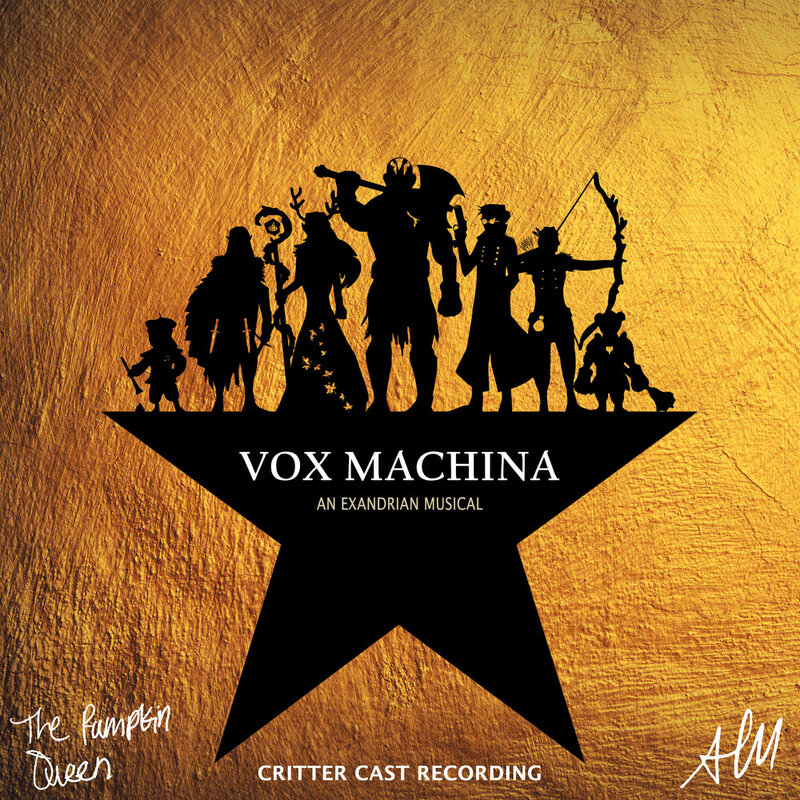 Our version of the mixtape's Congratulations dives deeper into Vax's original bargain with the Raven Queen in the sunken tomb. OG CPan alumni Gini "Aki" Benson and Jon Paget take on the roles of the Raven Queen and Vax, respectively. 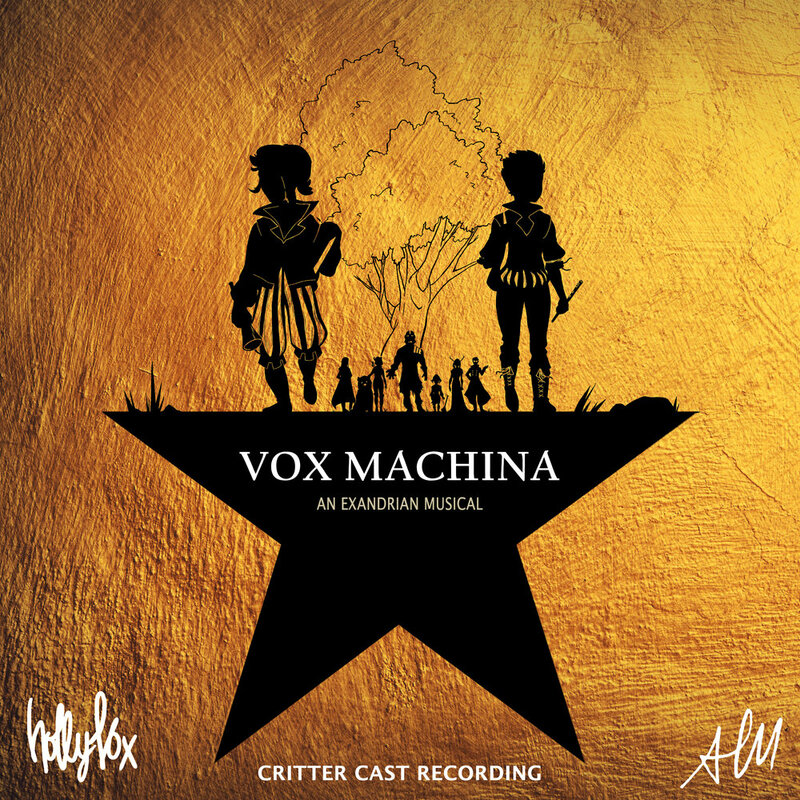 To celebrate the anniversary of the Exandrian Musical, we're kicking off the Cantata Pansophical's version of the Hamilton Mixtape! Starting right where our musical left off, here's our tribute to The Decemberists' Ben Franklin's Song, starring Taryon Darrington. We’re partnering with Nerdsmith.org to help raise money for the Trevor Project and continue our fight for suicide prevention. 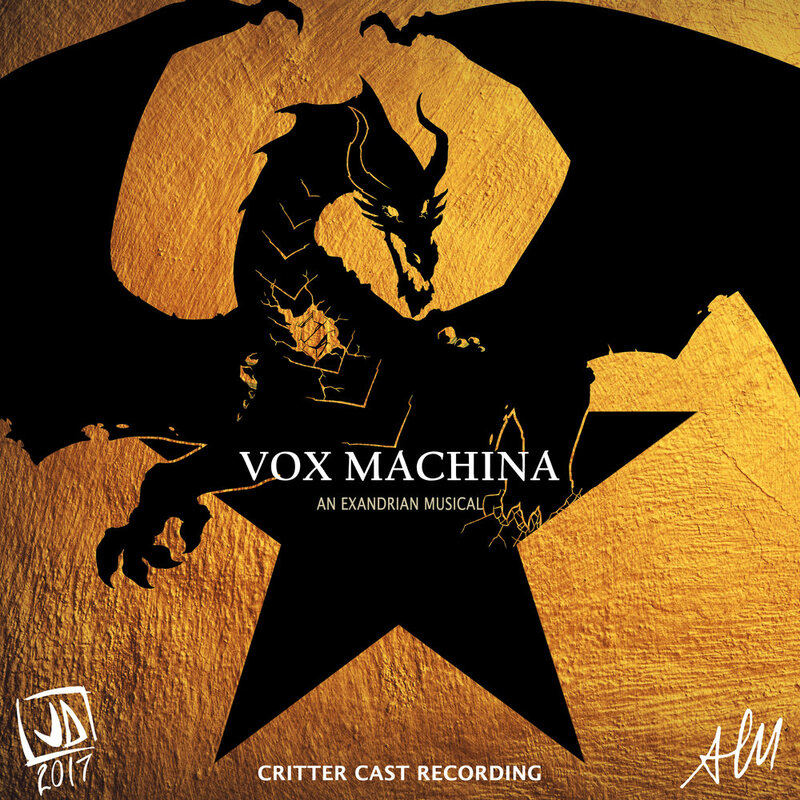 Come join us on Sunday, November 11th for a D&D livestreamed one-shot, with a musical twist! Time for a bonus track! 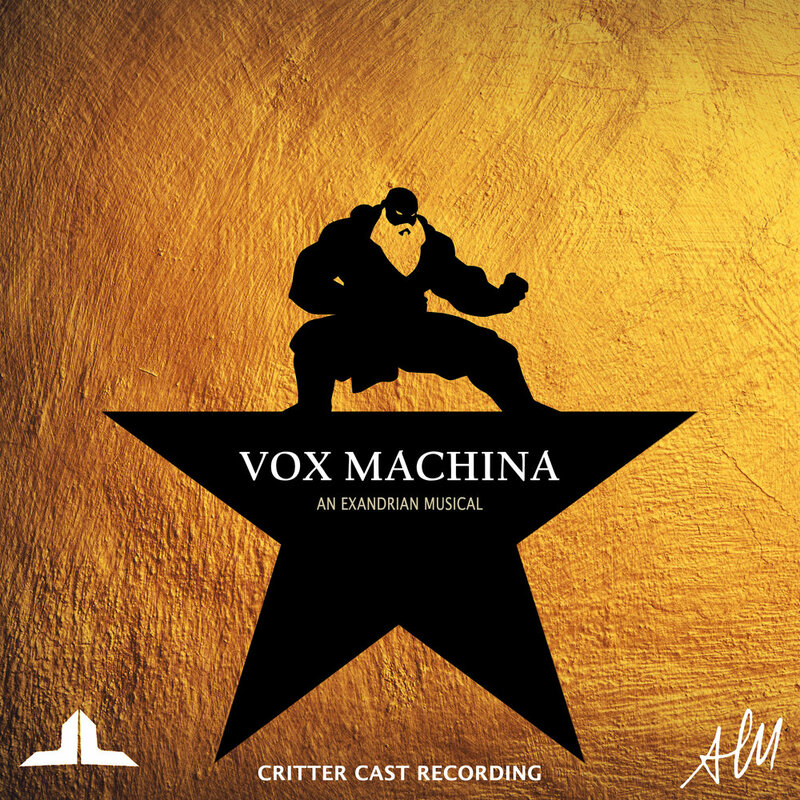 The Cantata Pansophical has made its first foray into Campaign 2 with this original song, made possible by a ridiculous Talks Machina gag. There is also a charity push associated with this track! Check out the Youtube video here for more info, or just donate to Little Kids Rock! Here is the CR Theme that we wrote for the credits sequence. Enjoy! 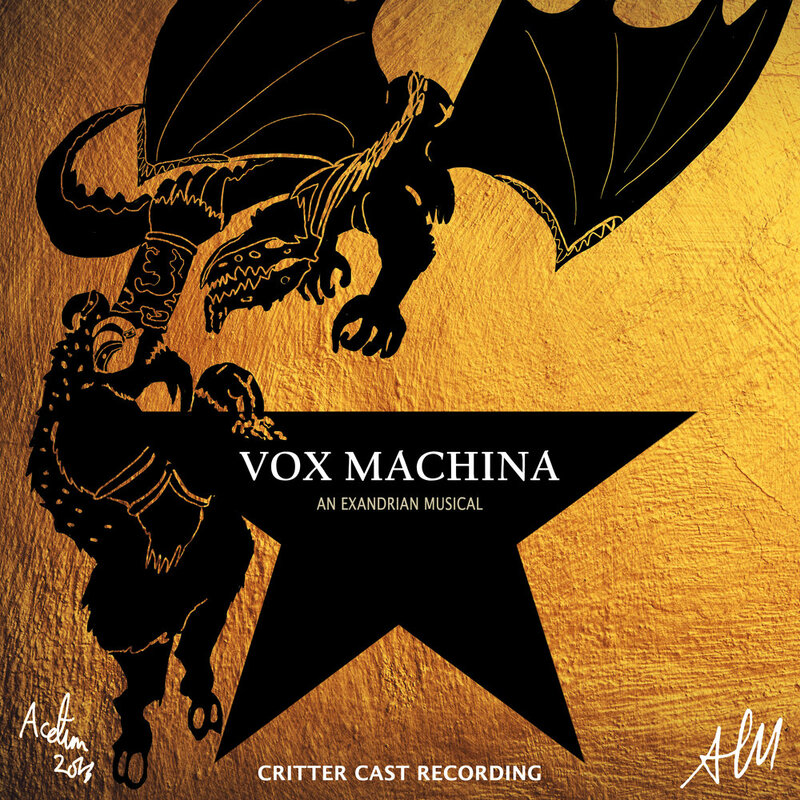 Welcome to the homepage for the Cantata Pansophical, a conclave of critters dedicated to rewriting the hip hop musical Hamilton's soundtrack to fit the D&D show Critical Role. This musical is a result of over 100 singers and artists from around the world coming together to make one giant ridiculous mashup album. 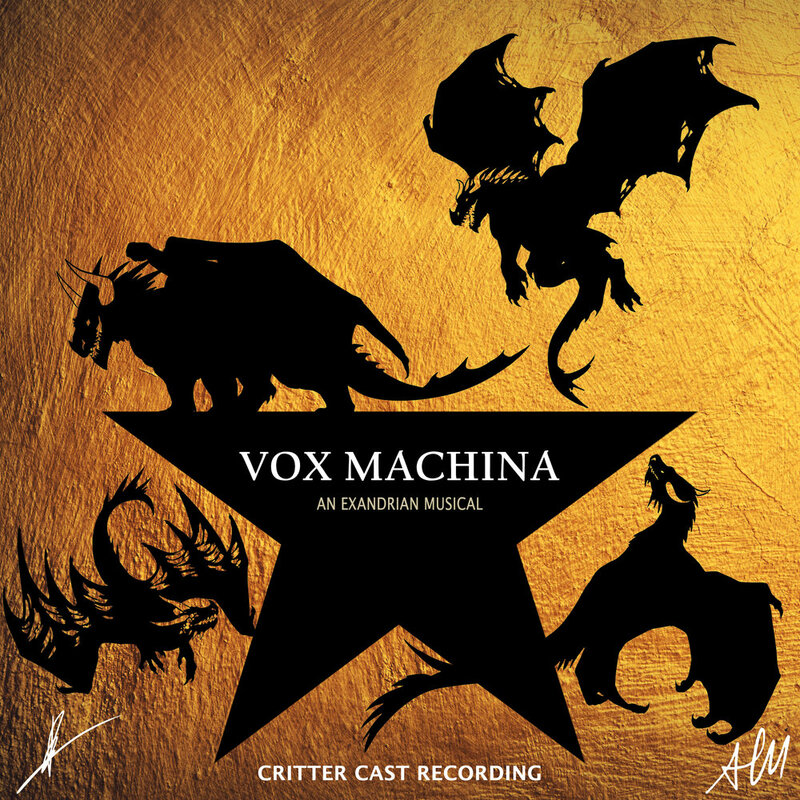 Each song in the original Hamilton soundtrack has been repurposed and shuffled around to fit a specific moment in the Chroma Conclave arc of Vox Machina's story. This is a love letter from the CR community to the CR community. And it's all available for free to watch on Youtube or listen to via mp3 download. If you've been a member of the CR community for a while, you know that charitable acts are a priority for the fans and cast alike. In that spirit, we'd like to encourage donations to some charities that the writers think are especially important. Danita (Keyleth, writer, assistant producer) would like to signal boost Mercy Ships. Mercy Ships is an international NGO that has been providing free surgery and dental care to some of the world's poorest countries for the past 40 years. You can support their work in restoring sight, smiles, mobility, and dignity by visiting donate.mercyships.org, or, if you'd like to support Danita directly in her volunteer work on the ship, visit tinyurl.com/crewmate Everything communicated here strictly reflects my personal opinions and is neither reviewed nor endorsed by Mercy Ships. Opinions, conclusions and other information expressed here do not necessarily reflect the views of Mercy Ships. Misaotra! É na! Merci! Thank you! And here's a slightly more direct link. For your convenience, I've made a zip file with free mp3 files, high quality album art, and a lyrics doc. However, Google Drive will only let 200 people download any one particular file... So I made 10 copies. The file size is 315 mb. Picking a file at random (they're all the same) will help keep all of the links open. May I recommend a d10? You can also copy the file over to your own google drive, to save space for future critters. However, if they're all full, let me know and I'll upload new copies. You can tweet @CPansophical or @crosswaitmusic or shoot me an email at willcrosswait@gmail.com. All of these goodies can also be downloaded individually from this website. PS: A lovely critter, Robert McGovern aka @tarasis, has offered to host our musical for us! I am no longer limited by the space on my Google Drive and we have unlimited downloads! You can find this same zip file hosted on his server here. He has also unzipped the files for us, in case you'd like to download things individually. That link is here. Thank you Robert! PPS: So most of the google drive links have been used up. Awesome! I hope you guys like the tunes. I've left the few links that are still alive up for you, just in case, but if you still want to download the musical, I recommend downloading it from Robert's site. All these links are below. PPPS: I've been asked to post the Official Playbill (which is completely serious and very much not a joke) as a single pdf, so here it is! I've also included a link to the regular lyrics pdf here, in case your browser is making my wonky code act up down below. Error 69: your browser is not strong enough for this funky code! Try clicking here for the PDF! 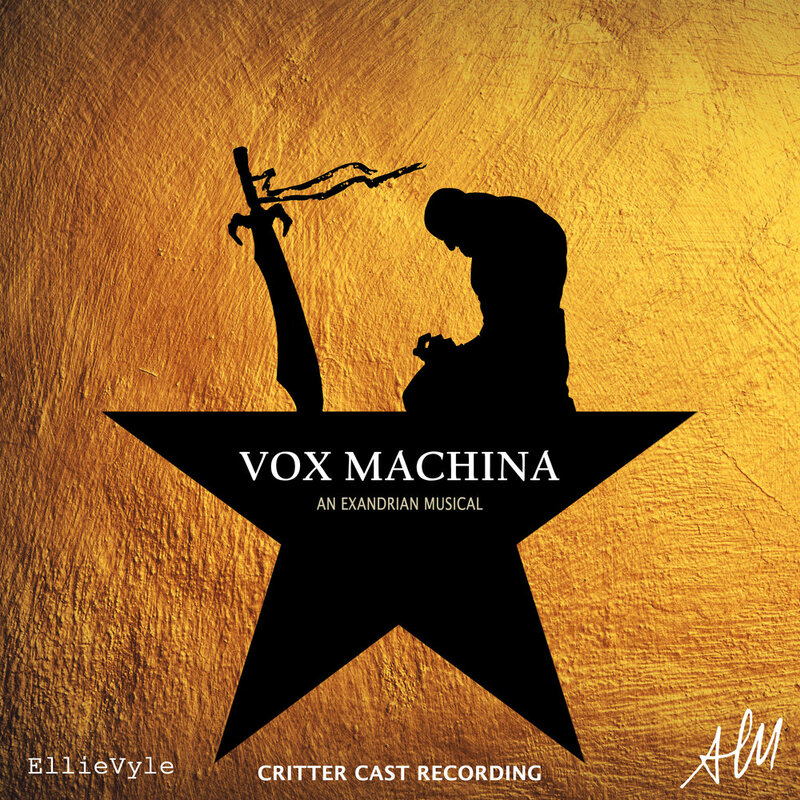 after track 40 (Vox Machina On Your Side) or 41 (Guns and Skyships). Or just power through them all! You got this! There are a bunch of ways to listen to the album. It's on Youtube with subtitles, although Youtube's algorithms forced ads in front of a few of the videos. Sorry for that- it was out of my control. I've also uploaded the album in full with no ads on Veoh, but that version is lower quality and doesn't have subtitles. Or you can just download it and own the mp3s yourself! Have you donated to one of our charities yet? Having a hard time deciding? Well, roll a d4. On a one, donate to the AFSP. On a two, donate to Mercy Ships. On a three, donate to The Hispanic Federation. If you roll a four, you have to donate to all three! Even if you can't give much, every little bit helps. Did you know that more than 100 critters from at least four continents worked together to create this album? I don't even know how many countries are represented here. Well, looks like you're done downloading these songs. I sincerely hope you enjoy them. We'd love to hear feedback from you all- drop us a line on Twitter, Youtube, or Tumblr! Til next time, when we rewrite the second campaign to the tune of Spider-Man: Turn Off the Dark.